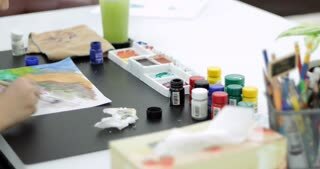 A cute 11 year old Asian girl gets a funky rainbow painted on her face. 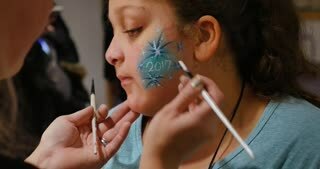 A little girl gets her face painted at a carnival or craft show. 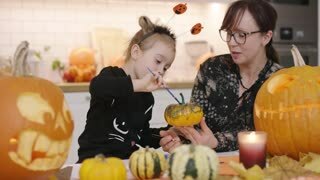 Smiling woman in glasses holding small painted pumpkin and showing it to her cute little daughter in Halloween costume.